Ericsson (NASDAQ: ERIC) has announced SoundVision, of the University of British Columbia, Canada, as the winning team in the Ericsson Innovation Awards (EIA) 2016. The SoundVision team has developed a mobile device that converts 3D spatial information into sound so blind individuals can identify their surroundings more effectively. The technology can help create truly inclusive cities where every citizen is empowered. 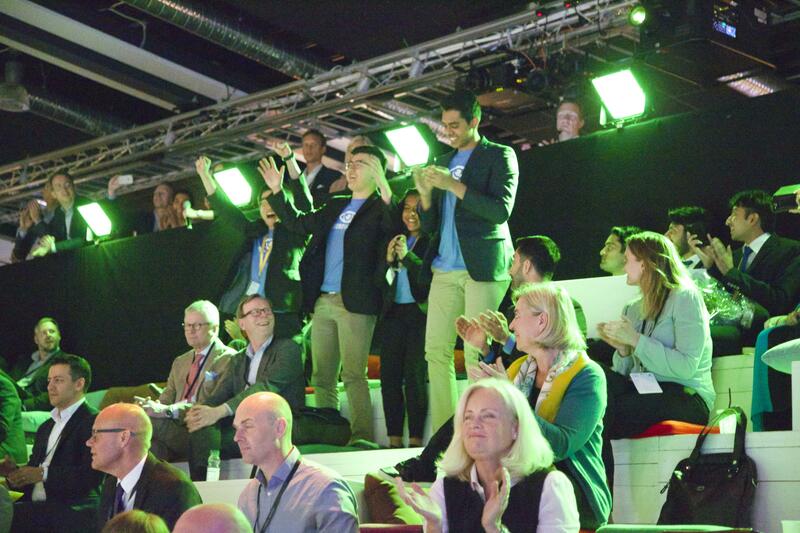 The winners were chosen at the EIA grand final, held in Stockholm, Sweden on May 26, 2016, by a jury chaired by Charlotta Sund, Head of Region Northern Europe & Central Asia, Ericsson. Jury members were HRH Prince Daniel; Ann Hellenius, CIO, City of Stockholm; Nicklas Lundblad, Senior Director & Head of EMEA Public Policy and Government Relations, Google; and Mattias Fyrenius, CEO, Nobel Media. The EIA is a global competition that gives students the opportunity to develop innovative ICT ideas in collaboration with Ericsson experts. A total of 843 teams from 72 countries entered EIA 2016, the theme of which was city life, and four teams were selected for the grand final. Second place - Airscapes (Massachusetts Institute of Technology, US): a collection and augmentation solution for crowd-sourced environmental data, which provides personalized air pollution exposure metrics. Third place - SherPak (Polytechnic University of Milan, Italy and Frederick University, Cyprus): planar-embedded antennae that turn windows into a communication medium, supported by solar power generation capabilities. Fourth place - Common Spoon (Polytechnic University of Catalonia, Spain): a communal kitchen, automated grocery and eating space based on micro-transactions that boost local economies, improve environmental outcomes and strengthen social bonds. YK Sugishita, SoundVision, says: "Our team is passionate about innovation that makes a positive difference, and it has been an amazing experience to work with Ericsson's experts and take the next steps toward commercialization." The winning team will receive a cash prize of EUR 25,000, with a second-place prize of EUR 15,000 and two runners-up prizes of EUR 1,000 each. All finalists will be interviewed for internship or full-time positions at Ericsson. Bina Chaurasia, Chief Human Resource Officer, Ericsson, says: "Innovation forms part of Ericsson's DNA and has kept us at the forefront of our industry for 140 years. The Ericsson Innovation Awards showcase great ideas that can shape the Networked Society. This year's finalists will make a decisive contribution toward tomorrow's smart, sustainable cities."